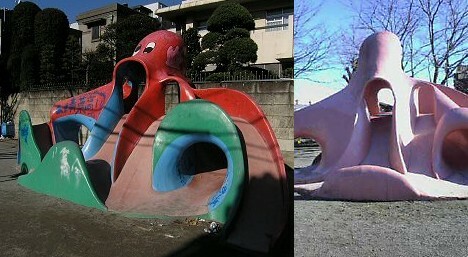 UPDATE: Here's a huge, wonderful photo gallery of octopus slides (Thanks, Alexander!). 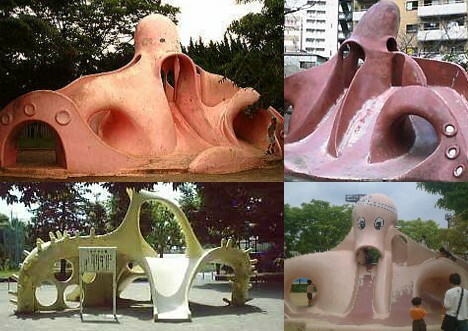 According to the site, there are no accurate records showing how many of these giant cement creatures exist in Japan, but they are believed to number in the hundreds. 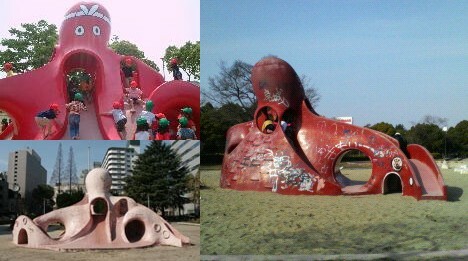 Many of these octopi, if not all, were constructed by Maeda Environmental Art Co., Ltd., who says each one has a unique design. 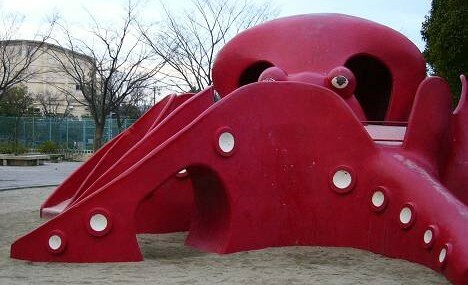 For more photos, check out this page by D-one, a photographer with an eye for the octopoid playscapes (the links that include pink text (??) are the ones you want to see). 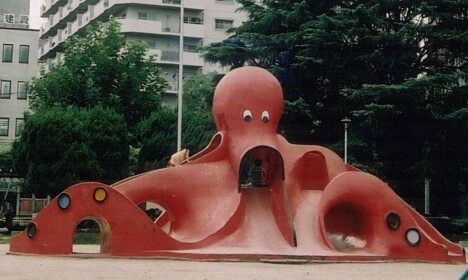 Also, a lot of the links on this page are to photos of octopus slides. Is it wrong to want a small scale one of those for my desk? I think it'd make an excellent paperweight... or even better, aquarium fixture. 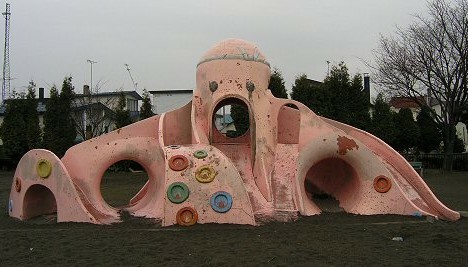 I thought this would be right up Pink Tentacles ink sack. 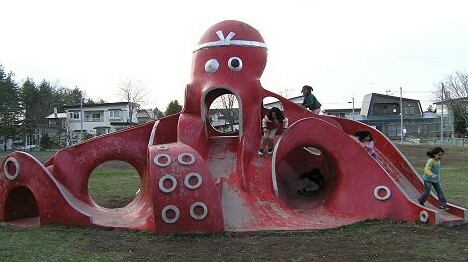 A giant squid, estimated to be the largest ever found, has washed up on the shore of Tasmania. 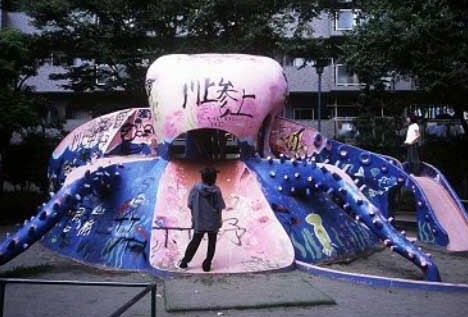 Let's not try to imagine what they are preparing the children for.. 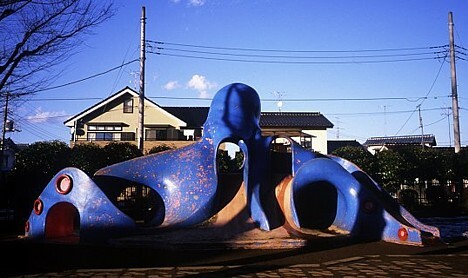 There's one of them in my town!